Trishla Jain is an author, designer and entrepreneur committed to helping people find deeper, more authentic connections. She is the co-founder of Gather Conversations, a social experience that aims to spark meaningful conversations and deepen personal relationships. Jain's passion for designing artful conversations comes from a lifelong spiritual quest. Born and raised in New Delhi, India, Jain learned at a young age the importance of nurturing the human spirit in order to delve deeper into the Self. Guided by her grandmother, she grew to adopt a set of spiritual disciplines that she continues to follow today, such as daily insight meditation, ancient breathing techniques, and month-long periods of silence. Later, as a student of English Literature at Stanford and English Education at Columbia University, Jain explored the intersection between poetry, lyricism and her spiritual teachings and found conversation at the center of all three. She would later draw on this discovery as the inspiration for creating Gather. With its meticulously crafted content in the form of fill in the blanks, spoken word and questions, Gather catalyzes the conversation journey from beginning to end. The cards in each Gather conversation box help participants dig into the nature of human experience to spark a deeper conversation with family, friends & teammates. Gather gives voice to our experiences and truths to bring us closer together. Jain writes the column Begin Within for the Sunday Times of India and has held three solo art & poetry exhibitions exploring the intersection of joy & gratitude under the name Thank Joy. She currently serves on the board of The Girl Effect, an organization that uses media and mobile tech to empower girls to change their lives. Her latest works, a collection of soulful children’s books, is expected to be published this year. Jain resides in the San Francisco Bay Area with her husband and two young children. Today is an example of one day that I chose to go play in traffic. I had heard from a colleague about what sounded like a really both interesting concept and an interesting person. So I wrote today's guest, who will talk a little bit about herself here in a few minutes. And by going on a plane and in traffic, I'm lucky enough, fortunate enough to be spending some time today with Trisha Jain. Trishla will talk a little bit, as I said, in a few minutes about what is her passion in the world, and what conversations have had to do with it, but mostly Trishla for joining us today. So tell us: you maybe experienced something different from your end when I wrote you, but tell us about yourself a little bit, to the listener, and and what brought us together from your side. 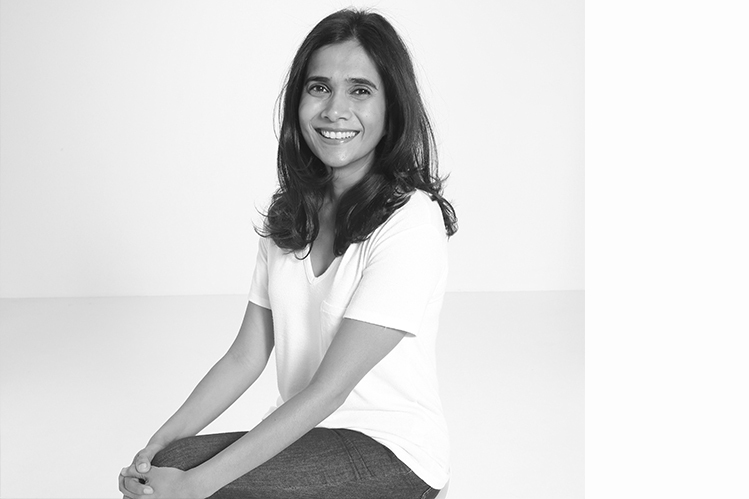 Trishla Jain: Well, when I saw an invite to have a conversation about conversation, I was, like, over the moon because I design conversations all day, every day. That's my job. And it's a dream job because my favorite way to celebrate is to have a meaningful conversation with the people in my life. So, it's really great to be here, and thank you for having me. DK: You're welcome, you're welcome. Now, so let's talk a little bit more about the results of, the outcome, of your passion. As I learned that day when we met, this is taking a very interesting route. You and your partner, who you'll certainly talk about, have created a real living—and I'm looking at them here where we're meeting—a real live, living product. Not just a conversation by itself, but a vehicle, if you will, for conversation. So let's go through what I think is a fascinating story. Wind us through to what brings us here today, and puts you in the position of having built this venture. TJ: Yeah, the story is amazing and it has a really beautiful start. It all starts on that day where I was invited to Oprah Winfrey's house, along with ten other very lucky women, to spend three or four days learning about an organization called The Girl Effect. And as an aside, The Girl Effect is a beautiful, a beautiful way to use media to empower young girls when they need it most. And the thing about that get-together—when I received a letter, I felt like I was being invited to Hogwarts, because it's not every day you get an invitation to spend time with Oprah. Not not an evening—it's three days in her home with her, in a very intimate environment. And this, you know, this beautiful mission called Gather was really seeded there. And it started there. So I think the thing about that those four days was that it gave me all the inspiration and energy I needed to leave behind my previous career, which was related in art and writing. And really jump into this into this idea that I can enable meaningful conversations, and I can make it possible for anybody, anywhere to have a conversation like the ones we did with Oprah. You know it—picture it like you have ten women who are so excited to be there at that table—and then you have this fierce and unbelievably kind woman at the table; Oprah, who poses a question and the ten of us are sitting around this table in the—you know it's it's a very warm, inviting home. The flowers on the table have been handpicked from the garden. We've all met the chef and interacted with him, and he's told us the special ingredients that are going to be in today's dinner. And then she poses a question. And the question isn't an ordinary question about where we are, where we came from, who we are, what we do; it's why were you born? Why were you incarnated into this body, in this life; what is your purpose? And like the first time I speak to Oprah, answering this question, is exactly how I would want to go, because I don't want to waste her time with all the small talk. I want to tell her who I really am. So when she posed that question, I was like, “Yes, this is awesome!” And the way it worked was we kind of went around the table one at a time, and each woman spoke for seven to fifteen minutes on the subject. And we were enthralled by how much we learned by cutting to the chase this way. And I shared my purpose and how for me everything was about uplifting human consciousness and my—I wanted my life's work to reflect—to reflect that. Is that everything I have done is to step and walk towards the upliftment of human consciousness so that we can slowly take the journey towards a deeper, more meaningful life. And I shared my meditation background and how much I enjoy ancient wisdom and the idea of actively pursuing happiness, and creating it for yourself, and not leaving it to chance. And and over and over again—breakfast, lunch and dinner—she would pose a question and we would answer it around the table. And by the end of these three days I felt so connected to these women, and more than anything, so connected to myself. My priorities and what I wanted—that I knew the power of conversation for the first time—it had come to life during those days. And to be honest, I mean, you can say it's because it's Oprah, but it's also because she had created the environment and the structure for us to communicate like this. So that we knew that when we came for a meal it wasn't going to be a scattered collection of side conversations and small talk. And it's kind of like the regular thing that we partake in when we go out for a meal with friends. We knew that when we were sitting down, it was going to be mindful, and every word spoken at that table would be in context and under an umbrella; a purpose that under this question that she would pose. And she asked many questions like, “What broke you, and how did you put yourself back together?” And yeah, that dinner was an intense one. And I would say four out of five of us cried because we were sharing stories of being broken, and then the beautiful Phoenix rising from the ashes after that. And the main thing that I took away from this when I was in the car going home was words like when she said, “You're a redwood. Reach for the sky.” Sort of reminding me that I had the power within me to have these kind of conversations, and to build these kind of conversations with or without her. So Gather was kind of planted in her beautiful estate in Hawaii, in my mind. And maybe I didn't even know it yet, but I came home, and after about a week of getting back to regular life, after three days at Hogwarts with the beautiful personality that she is, and along with all the other women, I just couldn't take normal conversations anymore. The bar had been raised way high up in the air. DK: What would you—what did you experience—this is important for the listeners who are thinking, “OK, what is this power of conversations?” I believe what would be helpful is if that term normal is—you're right there's a status quo to conversations. There's a living breathing way that they happen. Tell us what you mean by normal conversations. TJ: Well, in the sense of a group gathering, when you're with many people, a normal conversation is when you talk about what happened that day. You have a little bit of complaining. You talk about politics or current events, and you don't talk about who you really are. That subject isn't on the table. What's on the table is like kind of this inertia of like, “Oh the weather, and Trump, and my work and over the my kids bedtime routine.” And more than anything, the conversation isn't including everybody at the table. It's usually happening between you and the person sitting next to you. And that conversation isn't connected to the one happening across the table. So the normal conversation doesn't connect everyone. It's kind of more—it's based on something smaller and it's a side conversation. And it's not inspiring, or it doesn't give you energy. DK: So what did you—you said you were around for a week—can you—just couldn't stand these normal conversations anymore. Take us up to the point where it changed. What did you do to make it different? TJ: I—it was you know might sound a little crazy, but I made like a vow to myself that I would no longer participate in that type of conversation. And I would strive to build something better. So that I never thought that this would end up as you know of a company like Gather Conversations where we sell product. Really, how it started was I invited twelve women to my house who I had met very briefly. Because I had only moved to America about a year and a half ago from India. So I kind of—these twelve women I had met, once or twice; they were all acquaintances. None of them knew each other. And I invited them to my house for an evening of sparkling conversation. And that's really all they knew was that they were invited to have an evening of sparkling conversation. And I had created that day a simple structure by which this conversation would flow and progress. It started with a fill- in-the-blanks introduction. So I literally scripted for them the things that I wanted to know about them, leaving out all the stuff that I actually didn't really care much about. So it included something that energized them, or the thing that was their pain point, or pet peeve. It included what made them smile or made their heart stop; things like that. Scripted neatly almost like a Mad Libs, personalized. And we went around the table and we answered them. And just after that the ice was completely broken because the women at the table, even though they didn't know each other, had just shared who they really were. We didn't know what we did and how many kids each person had or any of that kind of typical information. But we knew everybody's favorite morning beverage that energizes them and we knew little details and little dynamics of that person and how they like to live. DK: Was it there in those reactions, in that feeling in the room, where you started—could you get the vision there of what you have now in the—if you will—the business, the product—is that where it started? TJ: Yes, absolutely. So I started with this introduction. And then there that was the first card if you will, the first piece of the conversation. And then it built from there. And after that we introduced a little piece of content that set the tone and allowed me to drop in one—a question, somewhat like the one Oprah dropped in for us. You know Oprah, being Oprah, can drop in a question any time she wants and everybody will answer it. But me, with twelve women who I didn't know, and they needed a little bit of a warm up. So we had a little piece of content that we all spoke one line at a time, to sort of set the tone. And then we answered a question. Something, something I think the—but I believe that question that night was, “Why are you sleeping? And what do you need to wake up?” And then everybody answered that and we went around one at a time. And then after that we did that again another piece of content and another question. And it was—I think the second question was you know something about what specific thing they wanted to begin in their life, and what was stopping them, and what they needed to just get out there and do it. And we didn't have any other conversation or context except this. And this type of format was starting with a clever introduction and dropping in a question. And where each person answers one at a time, and then again in these circles it is the foundation of how Gather works. And it was laid that night, because by the end of this evening the women were floored by the quality of conversation. They were so amazed by how connected they felt. The group felt fully integrated because we had had one cohesive conversation where there was not one voice that was louder, and in a few voices that were quieter. Everybody had sort of an equal place at the table, and we had made space for everyone's voice. And we had talked about the things that really matter to each person, because everybody brought their own experience to answer the question. DK: So you went from Hawaii, with the early inspiration, you then came to this dinner of twelve. The obvious thing—I'm sure a listener or two has noted in your story—so I'll go right to it—is the fact that you're now up to if, I counted right, about twenty two women who were having these great conversations. Do you believe that the dynamics would have been the same in Hawaii, and or your first dinner if there were men present? Because it seems deliberate, in both cases, to have focused on women. DK: What might have been the difference, do you think, if any? TJ: Yeah. I mean I think I was just staying right inside my comfort zone until I met my business partner, Melody. So Melody was at that first dinner, and she was at the second one with another group of women. And after the second time she came to me and she said, “Trishla, we need to make this into a product that everyone can enjoy.” And this is Gather number two we're talking about. You know cut to Gather number forty. We've done this with so many men. In fact most Gathers are coed and have couples at the table. We've done with a board of an organization which is predominantly men. So certainly only the first two dinners or two Gather conversations were with women. And now after doing this a hundred times—honestly we feel men sometimes tickled by this, because they actually enjoy it. They like expressing themselves meaningfully. They like having a way to connect with the person they love in this way, without having to do all the work it takes to come up with the question. Without having to be the awkward one, kind of asking this deep question. It's all there for you, you just have to participate. So I think for men it's kind of it's been really easy. We haven't faced any sort of struggle specifically with men. DK: And that must be encouraging—it's encouraging to hear, that's for sure. And to see—I must ask though—I mean, you tel—as I knew you would—you tell a real beautiful inspiring story about the progression and all will get up to the point of where it is today, and how you're continuing to build it. But let's look look at the hard side of it. Because in every venture, especially one that has passion and commitment and times, as some people say, obsession to it, right? This is your thing, as you said. You design conversations. What's been the hardest part? Where have been the challenges in giving this the life that you've wanted to give it? TJ: I just think the enormity of the problem of of human connection that we're faced with today—the scale of it—is a little baffling. So essentially, you know, that the tools that we have currently to connect with each other, whether that's a simple phone call, a text message, a conversation, or any form of interaction on the web—those tools in my opinion aren't working. And it's been articulated again and again that people feel more lonely than ever and less connected to each other than ever before. And that problem exists at a scale that is so much larger than me that sometimes it just feels really small: the idea of starting a way to have conversations. So really, the challenge was believing that you have to start like this somewhere. You have to start with one meaningful conversation. And then two. And then three, and then ten, and then forty. And build it from there. And just really going step-by-step, grassroots, growing like this. So until it becomes a movement at scale. DK: So, it's the concept of the enormity of it, which is the enormity of the problems you said. Have there been moments those so that we can get a full feeling of what this is like to be facilitating in creating these moments? Have you looked around the table in these hundred or so examples you have, and looked at someone and said, “No, they're not buying it. They're not there. They're being skeptical. They're being—because that's quite frankly, in my work, right, out of coaching and helping people change their conversations. Inevitably they're the people who don't believe. Have you had any of that at all? And if you did, what happened? TJ: Yeah, you know it sounds crazy to say that we haven't, really. So we've had people who've come into the experience very reticent to have this type of conversation, so they've been like a little bit sour in the beginning. And a little bit terse in their responses. But I have never had a Gather where, by the end of the conversation, that person hasn't awakened to the possibility of sharing themselves more authentically. So, in the beginning there may be a little bit of a roadblock for certain people because they're not used to talking like this, and being intimate, and cutting to the chase in this way. And I think the biggest thing that we we needed to prove as a company was that we could enable this conversation without me at the table. Without someone like an Oprah at the table. Without a conversational expert at the table. We needed it to happen in any family's home, anywhere. At any— around any coffee table or at any dinner table. Just with the cards, can you—after a long day at work—you know just sit down with your family and have a conversation like this? Can you plan a beautiful dinner party and you don't really think about conversations. You've planned your menu—you've invited your guests—can you just pull out this box and will it intuitively let you have this conversation without me, Trishla, at the table? So, it's really that that is kind of the biggest challenge and that has been what we have worked towards, day after day; is making ourselves completely dispensable from the experience. DK: So, let's get up to around today. So, going back to my plane in traffic idea; when I first heard of your of your product, the immediate availability of it was to get involved through Kickstarter. Bring us up to that point; how that's going, and most importantly so that you know so that people can continue to to generate their interest here. What's going to happen next? TJ: Yeah, so, so far we've held over one hundred and ten Gathers. And Gather is essentially a conversation inside a box. It's a meaningful, unforgettable inspiring conversation. And we have created about seven different types of them. So one one type of conversation is created for celebrations or occasions that you would have in your life, so we have a birthday conversation that you would buy the box. And you would host a birthday for someone you love, and that conversation with center on that person. And then we have a conversation for anniversaries, and date nights, where couples can pull up the box and and really connect in a really refreshing way over a date or an anniversary. We're developing family dinner conversation, which is intended for families that have children and teens at the table, starting from the age of eight and upwards, where rather than talking about how was your day today or other mechanical questions like, “What did you—what homework or teacher”—and that kind of stuff. It's really delving into who those children and teens are and their unique struggles and triumphs. And then we also have a conversation series, which is use sort of anytime, anywhere, which is just Conversation One, Two and Three. And the way we started sharing this with the world was through Kickstarter, and our campaign has about three days left in it. And then we're going we're headed straight to Amazon after that. And we really want to make this product as widely available as possible so that it's really just as easy as if you want to participate in having a meaningful conversation—just pick up one of these boxes, open it, invite your people and and the conversation is just going to build right there, and then in front of your eyes. We've done all the work we've planned every piece of the conversation so all you have to do is follow the really simple instructions and just be yourself and bring your experience to the table. DK: So exciting. So what do you envision a year from now. You're on Amazon. What do you hope—what do you see as having to continue to do yourself with Melody and other people who signed on here to help build? What is the work ahead and what are those conversations going to be like? TJ: Yeah. I mean when I when you asked me that question, Oprah pops into my mind again. Because actually Gather number forty one was with Oprah. And we had tremendous butterflies to show us show her this product and we invited fourteen people from the Silicon Valley Community; C.E.O. 's and entrepreneurs. And we had a Gather, which lasted approximately five hours. And that was an incredible moment for Gather because we brought the product back to where it was seeded. And I was so scared to show this to Oprah because I didn't know how it would go. If people would change the way they interact with the product because Oprah was at the table; we had some pretty big personalities at the table. And it was that moment where she experienced it and it was magic. Everybody was themselves. We got to know each other in ways that it was just—it was never going to be possible without the cards, because we would ultimately refer back to work. And you know other connections and things at the table we wouldn't talk about. The things we did talk about, which is you know our roots, and the things and the beliefs that we carry with us that made us who we are. Which was one of the things we talked about that night. So after after that forty first gather, Oprah actually went on to do four more Gathers of her own, and that's another story. But she used this word in a phone call to me, and she said I got to tell you about the Gather effect. And it's funny because I was invited to learn about The Girl Effect, and now through some magic of the universe, it's turned into The Gather Effect. And as an aside, I did join the board of Girl Effect and they're doing unbelievable work, so check that out. But The Gather Effect is essentially the vision for this brand; and that is to empower every person with the tools they need to have meaningful conversations every day. So the conversation boxes are first product and it's something that you can include in your life. If it's a family dinner conversation, you could do it every week. And if it's a celebration, you could do it perhaps three or four times a year, and anniversaries and date nights, so on and so forth. But we're also developing these types of conversations on a digital platform. So we really we need to include technology if we're going to take a conversation like this into the future. Because each one of us, attached to our hand, has a cellphone and that's the primary mode of communication for pretty much everyone here. And if we don't find a way to elevate the conversations happening right there and then, I think we're going to lose this battle. So most of my time right now is spent actually designing conversations for that, in that way for that platform, which is a different animal than face-to-face. And I have to say we have some pretty exciting results to share upcoming. DK: Good. Speaking of sharing the results, how do people, when they click off this podcast, how do they find out more about Gather? TJ: So we have a website GatherConversations.com. We're going to be live on Amazon within a few weeks and that's where—that's our world—that's where you can learn about how this works and the beauty of this type of conversation and the simplicity of it. And I think a lot of people will be scared away by the idea of a meaningful conversation that sounds tiring; it's really not. It's just a way to connect with each other authentically and really bring your whole self to the table. DK: Good. Well many years ago I was talking about things that people have taught me about playing in traffic. My mother taught me something that I always think of at moments when I'm thinking of reaching out to someone, and her saying was, “They'll never say yes unless you ask.” So, I am very grateful, both to my mother, for reminding me about that, bless her soul. And that I reached out to you and to hear what you and Melanie are doing in the world. I've played the game, as we know. I've played the cards. I do have an anniversary coming up—Honey, pay attention. We're going to do that, and exciting stuff ahead. And it's just great to sit and listen to have you tell the story, so thank you. TJ: Thank you. It's an honor to be here. Thank you.